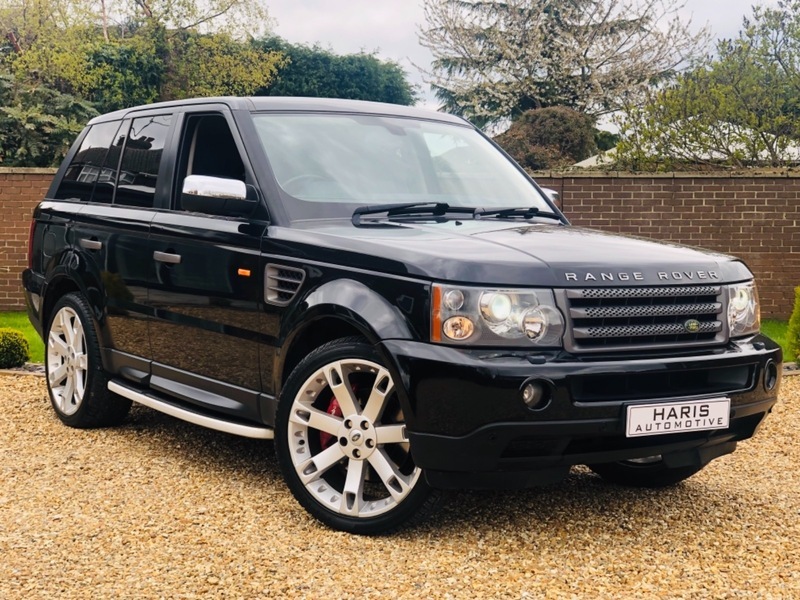 HERE AT HARIS AUTOMOTIVE WE ARE PLEASED TO OFFER THIS STUNNING TOP OF THE RANGE 'HSE' SPORT MODEL + PRESENTED IN AN EYE CATCHING BLACK WITH BLACK HEATED ELECTRIC LEATHER SEATS + 22" STORMER STYLE ALLOY WHEELS WITH RED CALIPERS + SATELLITE NAVIGATION + XENON HEADLIGHTS WITH AUTO HEADLIGHT FUNCTION + PARKING SENSORS + PRIVACY GLASS + CRUISE CONTROL + CD/RADIO + HARMAN KARDON SPEAKER SYSTEM + DRIVER CENTRE LEATHER ARMREST + ADJUSTABLE AIR SUSPENSION + TRIP COMPUTER + DUAL CLIMATE CONTROL + FRONT AND REAR HEATED SEATS + LEATHER MULTI FUNCTIONAL STEERING WHEEL + FRONT AND REAR ELECTRIC WINDOWS + ELECTRIC POWER FOLDING MIRRORS + STUNNING LOOKING 'SPORT' REAL HEAD TURNER!! A LOT OF FLASH FOR LITTLE MONEY! !